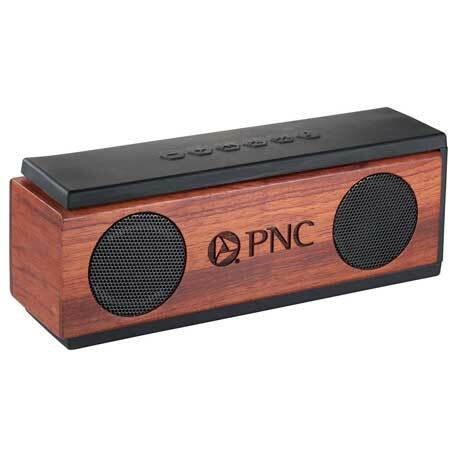 The Native Wooden Bluetooth speaker by Leeds has the appointed look of C-level office suite, and is likely the perfect gift for your executive team. There are very few wooden model promotional bluetooth speakers on the market, honestly this is one of the first I have seen. 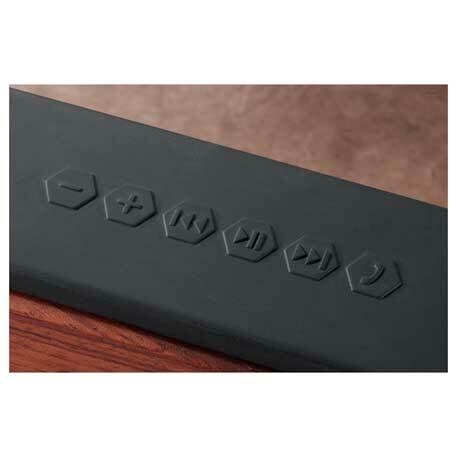 What I really like about the Native Wooden Bluetooth speaker is the large, engraving area of 1.00″ H x 2.50″ W, which makes it a great little billboard for your brand in your client’s, or executive’s office. This Native Wooden Bluetooth looks great on a bookshelf. Another use might be in hotel suites, or even as a gift with purchase for music related equipment, or consultant services. The wooden body really does seem to produce a richer sound than the plastic body speakers normally seen on the market. But ask for a sample, and test it out yourself. Please contact us at info@proformagreen.com if you would like more information on – or samples of – the Native Wooden Bluetooth speaker. This entry was posted in bluetooth. Bookmark the permalink.